Education is a powerful “equalizer”, opening doors to all to lift themselves out of poverty-Prof.M.A.Windey. ‘Education is a powerful “equalizer”, opening doors to all to lift themselves out of poverty’ said Prof.M.A.Windey, noted Social reformer of international repute in his inaugural address of a seminar organized by SEVAI, a Trichy based NGO on 2nd March 2002 in SEVAI Centre. Prof.M.A.Windey further said that education empowers people and strengthens nations. The goals of Education of the developing countries are universal primary completion and gender parity in primary and secondary schooling. Moreover, education—especially girls’ education—has a direct and proven impact on the goals related to child and reproductive health and environmental sustainability. Education also promotes economic growth, national productivity and innovation, and values of democracy and social cohesion. Investment in education benefits the individual, society, and the world as a whole. Broad-based education of good quality is among the most powerful instruments known to reduce poverty and inequality. With proven benefits for personal health, it also strengthens nations’ economic health by laying the foundation for sustained economic growth. For individuals and nations, it is key to creating, applying, and spreading knowledge—and thus to the development of dynamic, globally competitive economies. And it is fundamental for the construction of democratic societies. Education greatly benefits personal health. Particularly powerful for girls, it profoundly affects reproductive health, and also improves child mortality and welfare through better nutrition and higher immunization rates. Education may be the single most effective preventive weapon against HIV/AIDS. Research has established that every year of schooling increases individual wages for both men and women by a worldwide average of about 10 percent. In poor countries, the gains are even greater. Education is a great “leveler”, illiteracy being one of the strongest predictors of poverty. Primary education plays a catalytic role for those most likely to be poor, including girls, ethnic minorities, orphans, disabled people, and rural families. An educated and skilled workforce is one of the pillars of the knowledge-based economy. Increasingly, comparative advantages among nations come less from natural resources or cheap labor and more from technical innovations and the competitive use of knowledge. Studies also link education to economic growth: education contributes to improved productivity which in theory should lead to higher income and improved economic performance. Countries with higher primary schooling and a smaller gap between rates of boys’ and girls’ schooling tend to enjoy greater democracy. Democratic political institutions (such as power-sharing and clean elections) are more likely to exist in countries with higher literacy rates and education levels. Peace education—spanning issues of human security, equity, justice, and intercultural understanding— is of paramount importance. Education also reduces crime: poor school environments lead to deficient academic performance, absenteeism, and drop out—precursors of delinquent and violent behavior. Education can enhance natural resource management and national capacity for disaster prevention and adoption of new, environmentally friendly technologies’. Trichy April 27: ‘A good teacher praises loudly, blames gently’-said Dr.K.Govindaraju, Chairman of South ZONE Board of Continuing Education in his inaugural address of young emerging teachers of SEVAI Shanthi Matriculation higher Secondary school, and other SEVAI schools, a Trichy based NGO.SEVAI launched 5 days leadership training course for teachers in its Kajamalai premises. Dr.K.Govindaraju, the Chairman of South ZONE Board of Continuing Education delivered the inaugural address. Dr.K.Govindaraju enlightened the objectives of the teachers leadership training as: Understanding good Leadership Behaviours, Learning the difference between Leadership and Management, Gaining insight into your Patterns, Beliefs and Rules, Defining Qualities and Strengths, Determining how well you Perceive what's going on around you, Polishing Interpersonal Skills and Communication Skills, Learning about Commitment and How to Move Things Forward, Making Key Decisions, Handling Your and Other People's Stress, Empowering, Motivating and Inspiring Others and Leading by Example. Dr.K.Govindaraju further added ‘Leadership is one of those things that's often awfully hard to define but you know when you see it, and you definitely know when it's missing. Indeed Leadership is one of those areas about which a huge amount is said while at the same time leaving big questions hanging in the air unanswered, the approach is to run leadership programmes where natural leaders can develop the skill and insight to become great ones. Leadership Development and Training is to gain a rigorous personal insight into what makes them tick and then, with that understanding of themselves, to stretch the boundaries of what's comfortable for them. Good leadership requires deep human qualities, beyond conventional notions of authority.In the modern age good leaders are an enabling force, helping people and organizations to perform and develop, which implies that a sophisticated alignment be achieved - of people's needs, and the aims of the organization. Good leadership in the modern age more importantly requires attitudes and behaviours which characterise and relate to humanity. Leadership is centrally concerned with people. Of course leadership involves decisions and actions relating to all sorts of other things, but leadership is special compared to any other role because of its unique responsibility for people - i.e., the followers of the leader - in whatever context leadership is seen to operate. Many capabilities in life are a matter of acquiring skills and knowledge and then applying them in a reliable way. Leadership is quite different. Good leadership demands emotional strengths and behavioural characteristics which can draw deeply on a leader's mental and spiritual reserves. The leadership role is an inevitable reflection of people's needs and challenges in modern life. Leadership is therefore a profound concept, with increasingly complex implications, driven by an increasingly complex and fast-changing world. Leadership and management are commonly seen as the same thing, which they are not. Leadership is also misunderstood to mean directing and instructing people and making important decisions on behalf of an organization. Effective leadership is much more than these. Good leaders are followed chiefly because people trust and respect them, rather than the skills they possess. Leadership is about behaviour first, skills second.This is a simple way to see how leadership is different to management: Management is mostly about processes. Leadership is mostly about behaviour’. ‘Kokila weds Kamalganesh:Happiness is totally abstract and personal’ for married couple. My hearty greetings and blessings is conveyed to both of you. I would like to give this message to you at your early days of your wedding. The trust is the main knot that holds the relation of husband and wife together forever. It is the trust that gives birth to the understanding between the two. It is the trust that makes each of you independent. It is the trust that adds to the happiness in the married life. Marriage brings many changes in a person's life. It depends on the person how he/she accepts these changes and applies these changes to lead a happy married life. After marriage you have new a new family and new relationships. Your spouse is not only your life; try to become his/her best friend. Take care of your spouse's feelings, interests and emotions. And at the same time you should have respect. Important Points for a happy married life are. Try to accept them as they are. If you find anything wrong or you want to bring some change in something in their lifestyle, you can discuss it in a friendly environment. By taking care of small things, like cooking your relatives favorite dish, arranging a surprise party on your parent-in-law's anniversary, giving a surprise gift to your spouse etc. Go for an outing with your spouse where you both can spend some time with each other. Forgiving attitude of each of the two is also very important to carry on relationship. To commit mistakes is a human nature. One should be ready to forgive others faults and at the same time the other should be ready to feel sorry. It has been rightly said that, 'Apologizing does not mean that you are wrong and the other person is right, but it means that you respect your relationship more than your ego.' So keep aside your ego when it comes to keep your relationship healthy forever. Happiness is totally abstract. One should try to be happy. One should not pay more attention on petty matters. In married life most of the troubles are finance related. Next the temperament. One has to sacrifice a lot to adjust with the other. And the 3rd is in case of female with their in-laws. The husband has to deal the situation tactfully. Marriage is a bond between two souls. A bond is created only when there is sharing. At early stages of married life, this bond will be thick and there will be a lot of love and affection between the couple. But in most of the cases, as days go the thickness of the bond decreases means the love and affection decreases. The main thing for a happy and healthy married life is to keep the bond thick as far as possible. To keep it strong you need a lot sharing. Sharing should be from both sides. Wives always wanted to treat her as a special by their husbands. Its natural and it's a kind of good ego. Men will treat her girl with lot care, affection and love at beginning. This should be continued. Listen to her, understand her feelings and emotions, give importance to her when you are in a discussion with your family. Do not let her down before your family on any reason. Drama Day in Trichy: ‘Sankaradas Swamigal was a pioneer in the history of Tamil drama –T.Soundiah,IAS. Trichy; 24,April: ‘Sankaradas Swamigal was a pioneer in the history of Tamil drama, and the greatest tribute we can pay him, is to preserve his plays, and keep the traditions which he had established, alive for all time’ Mr.T.Soundiah,IAS appreciated in world drama day organized in Trichy on 23rd April 2011.Veteran theater artists, Muthuvelalagar,Ramanujam,Masthan and Arasangudi Bharthi Jothi, were honoured on World Drama Day in Trichy on 23rd April 2011 on the world drama day. Thiru.T.Soundiah, Indian Administrative service of Tamilnadu honored these drama directors and artists with Ponnadai with a purse of Rs.5000 for Trichy dramas artists association from Muthamil Kalai Panpattu Maiyam and Ponadai for their outstanding contribution over the years. On this occasion, Thiru.T.Soundiah, Indian Administrative service said’ ‘World Drama Day was created in 1961 by the International Theatre Institute. It is celebrated and various national and international theatre events are organized to mark this occasion with International Message ‘Theatre is for Culture of Peace’. Theatre activists all over the world observe World Drama Day.’ Thiru.T.Soundiah, said ‘Trichy has created many artistes, directors, playwrights, technical designers and limited middle class audience. In that sense theatre has an impact only in micro level. It has no impact at all in the macro level or the social, economical or political aspects of Trichy. Even the middle class, the main audience of theatre, is reluctant to come and enjoy theatre due to the lack of theatre halls. The consequence is that a large number of people in the city have no idea of the rich tradition of our main stream theatre. He further said ‘The Art of Theater is an interdisciplinary that takes us on a journey through many different aspects of our culture and history and tradition. Theater is an amazing way of expressing everything from feelings to Literary, historical and ethical standpoints. Mr.Soundiah quoted Nikulin “It is very important to be able to laugh and cry, to rejoice over one's own and others' victories, not to feel angry, not to envy. I dream there will one day appear a formation of kind and wise people on the Earth. Live in peace and accord and remember that every second of laughter adds a minute of life,” Mr.T.Soundiah,IAS added that the lesson tells us all about Sankaradas Swamigal, acclaimed as the Everest of Tamil Drama. He was an actor, a dramatist and a director. For more than a quarter of a century, his plays ruled the Tamil stage, unopposed and supreme.Sankaradas Swamigal, Pammal K.Sambandha Mudaliar and Paridimar Kalaignar are considered as the Trinity of Tamil Drama. These three playwrights were responsible for reviving Tamil Drama which was on the decline, and elevating it to great heights.Sankaradas Swamigal was born in 1867, in a small village near Tuticorin in Tamil Nadu. He remained a bachelor all his life. He was well-versed in Tamil literature and grammar as well as music. Having served Tamil theatre for more than three decades, he passed away at the age of 55, in Pondicherry’. World Book-day: “Books provide opportunities for women for self-discovery”-T.Soundiah,IAS. Trichy, 24, April: The world Book Day was marked at the South Zone of Continuing Education, in its Trichy Kalaiarangam campus on April 23, 2011.The chairperson of the South Zone of Continuing Education, Dr.K.Govindaraju presided over the function and he said that the UNESCO has designated the World Book Day on the birth date of the English playwright and poet William Shakespeare. Mr.T.Soundiah, of Indian Administrative Service, Tamilnadu delivered the key note address. T.Soundiah spoke on the occasion and said ‘Reading a book is just like talking with a silent person. Books make our character and make the society on being silent. Book help us to increase our imagination and make us aware that there are a lot things have to be done ultimately give us our goal for what we are born’. Reading a book is like meditation, words are organic, and the reading alive. The books reveal our culture and Indian culture is well. Book history is defined as the historical sociology of literature; the creation, diffusion and reception of the written word. It encompasses the social and economic history of the book trade, the spread of literacy, canon formation and the politics of literary criticism; and literacy and reading practices. Traditionally in the hands of bibliographers and social and economic historians, book history also attracts interest from literature, sociology, art, religion, economics and communications. Studies of the way authors and readers annotated books, either arguing with the text or correcting or up-dating information could also provide new insights into the contemporary influence of printed works. So far little work has been done to find and collate such information. The new interest is also resulting in attempts to preserve evidence of printing and publishing methods which rapid technological developments are sweeping away. Historians believe the history of the book will not just illuminate publishing and reading history but also benefit literary criticism and cultural studies. A Good Autobiography book helps us to know the struggle behind the success of a Great Personality. A Good Novel takes us to a dream world and helps us to forget our present, past for a Moment, brings in new perspective towards life. A Powerful Literature helps us to overcome all our negative complexes and helps us to elevate the Mind to Higher planes. An Epic helps us to identify ourselves with one of the Characters and also puts number of Ideals before us. A Religious book helps us to take a righteous path’. Gandhian thoughts on Village Voice. Shri.Prabhudas Patwari, the Governor of the of Tamilnadu between 1977 and 1980 has maintained the Gandhian way of life in Chennai Raj Bhawan and in Tamilnadu too. He was a community activist, freedom fighter, Gandhian Follower and an advocate of abstinence and moral virtue; He stayed active as an anti-alcohol campaigner until his death. 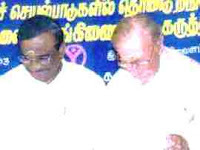 2011 is emerald completion year of his Goverership in Tamilnadu as his tenure was over in 1980 and his no more alive. In early 1980, as Governor of Tamilnadu, he inaugurated new houses constructed for dalits in Trichy district by a Service Organization; VRO as headed by Prof.M.A.Windey,an associate of Shri.Jayprakash Narayanan for India and for Tamilnadu Dr.K.Govindaraju headed the State Unit of VRO and had constructed several flood resistant cost effective homes in several villages in Trichy district as a response of flood havoc of 1977. Shri.Prabhudas Patwari,visited a small hamlet namely Vairapuri in Inungur Panchayat of Kulitalai Block. At the personal invitation of Dr.K.Govindaraju, Shri.Prabhudas Patwari visited this village and inaugurated the new houses. He was accompanied by former Governor of Orrissa, Mr. Mir Akbar Ali Khan. 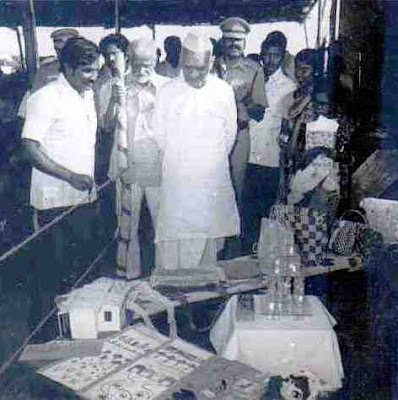 The personalities visited the exhibition organized in Vairapuri regarding Cottage industries as viewed by the father of our Nation, M.K.Gandhi.Shri.Prabhudas Patwari, recalled the Gandhiji’s message to Nation India, the Governor added that Concept of Rural Reconstruction: ‘Talking about the importance of village, Gandhi wrote in 1936, “I would say if the village perishes, India will perish too. It will be no more India. His one mission in the world will get lost.” He was aware of the realities of the village life and knew the plight of half starved masses of India. He often acknowledged the same in his vivid descriptions of Indian villages. He wrote, “instead of having graceful hamlets dotting the lands, we have dung-heaps. The approach to many villages is not a refreshing experience. Often one would like to shut one’s eyes and stuff one’s nose, such is the surrounding dirt and offending smell”. His understanding of the plight of the people has been extremely well brought out in his writings, identifying his emphasis on removal of poverty over aesthetics. His concept of rural reconstruction is a comprehensive one, emphasizing on the economic, political, social, educational, ecological and spiritual dimensions. He ceaselessly insisted on a pattern of village life, which will be man-centered and non-exploiting. The decentralized village economy should provide full employment to all on the basis of voluntary cooperation and work for achieving self-sufficiency in its basic requirement of food, clothing and shelter. In short, it can be said that rural reconstruction, according to Gandhi should not be merely concerned with raising the standard of living of village folk, though that was important. Talking specifically about an ideal village, where in he outlined the objectives of rural reconstruction’: - Shri.Prabhudas Patwari quoted. Karaikal, 15,April 2011: SEVAI Shanthi Matriculation children visited the Tharangabadi fort and beach for a day’s visit and here is little Manoj enjoy the sea waves in Bay of Bengal and his first visit in this region. Every kid loves to enjoy his or her summer holidays. There is a variety of choice when it comes to summer activities for kids. Summers are no doubt the best part of their school holidays and during this period many schools and institutes organise certain type of activities for children so that they can enjoy their summers. Many people take their children what is known as a 'beach summer holiday'. The children enjoy and make the most of a trip to the beach, whether it is a single day spent at a sandy bay, or a longer holiday. Summer activities for kids consist of activities like; playing around with kids, playing different summer games and participating in different group activities. It is the fun and free time for kids and they can enjoy whatever they wish to enjoy. It is the responsibility of the parents to come up with summer activities for their children so that they feel excited and refreshed. Some types of summer activities are more popular than the others. Like; kids love to enjoy visiting beaches those were not been, hill stations during summers. It is a good way of analysing and strengthening the child’s skills and abilities. Summer activities for kids help them to enjoy themselves and at the same time they learn new things.. Kids love to get involved in some type of activities which is good because it adds a very refreshing touch to everyone’s mood. The main aim of summer activities is to create a fun and exciting atmosphere for the kids. It helps them develop themselves both physically and mentally. There are many organisations, summer camps and schools as well that are involved in organising summer activities for kids. These activities range from water fights, balloon fights, paint balling, sports games and other sort of physical activities. Kids especially boys love to participate in sports activities like; racing, foot ball, cricket, baseball, etc. On the other hand girls prefer to participate in much more girly activities like; gymnastics, dancing, painting and other arts and crafts activities. It is important for the parents to participate or take interest in summer activities for kids. Because when parents take interest or participate with them, the kids tend to enjoy themselves a bit more. 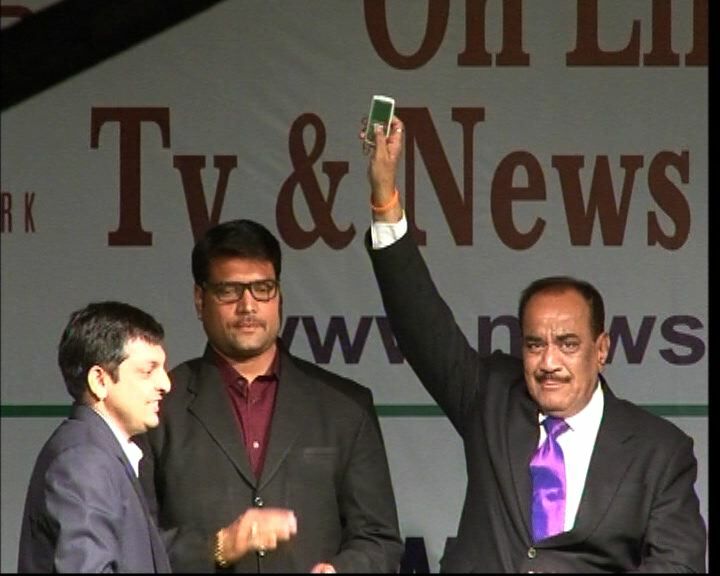 Samhita Media network’s company ‘Newspoint T.V’ has launched an exclusive Mobile news service in Uttarakhand with the aim of connecting the government, police and the common man. This service will provide all the latest news via sms on the mobile. Now people from around the country and the around the world can stay in touch with the latest news updates.The service was launched by the cast of famous television program CID, in Dehradun on 11 March, 2011, during an awards ceremony. Uttarakhand Chief Minister, Ramesh Pokhriyal “nishank”, Parliamentarian Vijay Bahuguna and DGP Jyoti Swarup Pandey were among the prominent dignitaries who graced the occasion and were all praise for the unique initiative taken by Newspoint TV. A first of its kind in the country, it is the beginning of a new revolution in the country. The service guarantees instant national and international news on politics, sports, entertainment and business on mobile phone as it happens, when it happens, for the people of Uttarakhand. Also get live updates on cricket matches, elections, fashion and your favorite stars. The news will be simultaneously available on logging into www.newspoint.tv. Newspoint Managing Director, Mr. Rahul Agarwal, believes the service will play a significant role in forming a strong channel of communication between the common man and the leadership. People can use the service to send their opinions and concerns to the government and political leaders.Newspoint plans to expand its mobile services to Delhi-NCR, Uttar Pradesh, Madhya Pradesh and Rajasthan in the near future.